Second Nature is a retail store owned and operated by Fun Guy Foraged Products in Southeast Alaska. 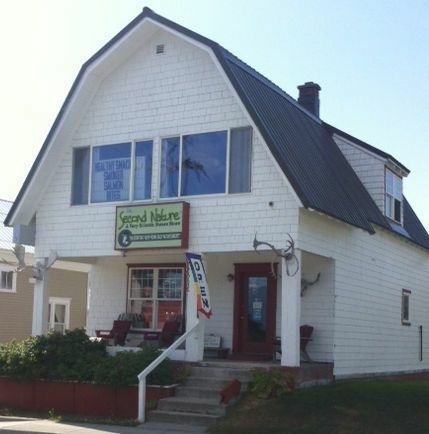 We are located on Second Avenue just two blocks north of Main Street in downtown Haines, Alaska. Coming Soon! We promise we are working on it! In the meantime, just give us a call if we can help you out with something. Thanks for your patience! "I just love Second Nature and all the wonderful things in store! Be sure to stop in and check it out if ever you are in Haines- it is a real gem! THANK YOU MARK for all your kindness and knowledge and for helping a gal find some amazing views!! " "Certainly a must stop by if you're in Haines and doing any shopping. Mark is a cool dude." "What an amazing find. Would almost consider coming again just for this store. "